DESIGNER, MANUFACTURER AND IMPORTER OF QUALITY AUDIO GEAR. Click here for the full range of shops stocking the Soul to Sole Audio Range and Imported Products. Tsakiridis Devices are a family company designing and hand manufacturing a large range of integrated amplifiers and preamplifiers and power amplifiers along with a sophisticated valve testing machine and power conditioners. They are extremely well priced for European-made valve amplifiers with their best selling “Aeolos” retailing for $2995. They perform well above their price point with one dealer saying the Aeolos is easily the best “EL34” based amplifier he has ever heard. They have a modern dynamic fast sound with very good bass and the valve “openess” across the spectrum. The Aeolos has Triode/Pentode switching and Low Feedback/Normal Feedback switching. A huge benefit of the Aeolos is each valve is individually biased and you can choose to use KT88 or KT120 tubes for more power, instead of the EL34 tubes, which makes these very flexible and a “tweaker’s” dream! They also come with a solid 5 year warranty so you can buy with confidence. VPI design and manufacture, at their own New Jersey plant, one of the finest ranges of Turntables in the world. The exclusive New Zealand importer of the extraordinary Sugden Class A Amplifiers and CD Players from the UK. HECO have been manufacturing and selling speakers to the discerning German hi fi market for well over six decades. They manufacture a large range of very fine sounding and beautifully finished speakers and all at excellent prices. Discrete floorstanders from as little as $1495 up to the large flagship Concerto Grosse at $16,500. This model along with the New Statement use highly sophisticated AlNico midrange drivers in their midrange which is virtually unheard of in speakers of this price. I am very happy to be presenting the whole range to the NZ market over 2016. Pictured is the fantastic HECO Direkt……design cues taken from cool guitars and 50s/60s cars. They look fantastic and sound better…! DS Audio are manufacturing an extraordinary range of optical cartridges that are taking the vinyl playback world by storm. Digital Stream Corporation invented the optical mouse alongside Microsoft and have put their intensive knowledge into making, what some reviewers are saying, are the finest phono cartridges in the world. Here’s how the DS Audio Cartridges work: The cartridge uses a light source (a miniature LED) that is powered by the included equalizer/power supply (which replaces your phonostage) via the tonearm cables and internal tonearm wiring. The record-groove vibrations transmitted by the stylus/cantilever modulates this LED light via a moving screen, and the modulated light is picked up by a photoelectric sensor. This photodiode converts the light into an electrical signal, sending it back through the tonearm cabling to the equalizer/power supply unit, which amplifies the signal into a RIAA-equalized line-level output. There is nothing digital about the DS Audio Optical Cartridges. They are entirely analog devices. The brand new DS Audio-002 cartridge and equalizer have arrived at a much more affordable price of $8995. This price includes the phonostage so this is a highly competitive product in the realm of high quality vinyl playback. The reviews of this new DS-002 model are fantastic and it is very exciting to have it available in New Zealand. I am privileged to be importing the historically important and recently reissued Japanese-made Kiseki Phono Cartridges. The Purple Heart and Blue have been lauded and praised since their re-introduction. Many reviewers praising them as being “true” high end at incredibly reasonable prices. I am thrilled to be representing Allnic Audio in NZ. Allnic Audio are a high end audio company from South Korea who produce a beautiful range of valve amplifiers, DACS, cables and are especially renowned for their stunning phono stages which range in price from the aspirational $4995 H-1201 up to the majesty of the $59,000 H8000 DHT. They have the special quality the best stages have of adding beauty, flow and grace to the music and making the most of your chosen phono cartridge. I am now representing the famous Falcon LS3/5a Speakers in NZ. Falcon have taken the job of making a genuine LS3/5a speaker EXTREMELY seriously and they are probably producing the most genuine version of these iconic speakers that has been produced since their ’70’s heyday. If you are a fan of these tiny BBC monitors then you owe it to yourself to yourself to hear this version. Patrick of Sugden Audio in UK says they are the finest LS3/5a speakers he has ever heard and by quite a margin. I am now privileged to be the NZ distributor of these wonderful amplifiers and accessories. The 833M Monoblocks are striking looking and strikingly sounding 120 watt Single Ended amplifiers. The huge 833 tube allows this massive power while still being a pure single ended power amplifier……just remarkable. The RT-2 Silver Preamplifier is SPECIAL! 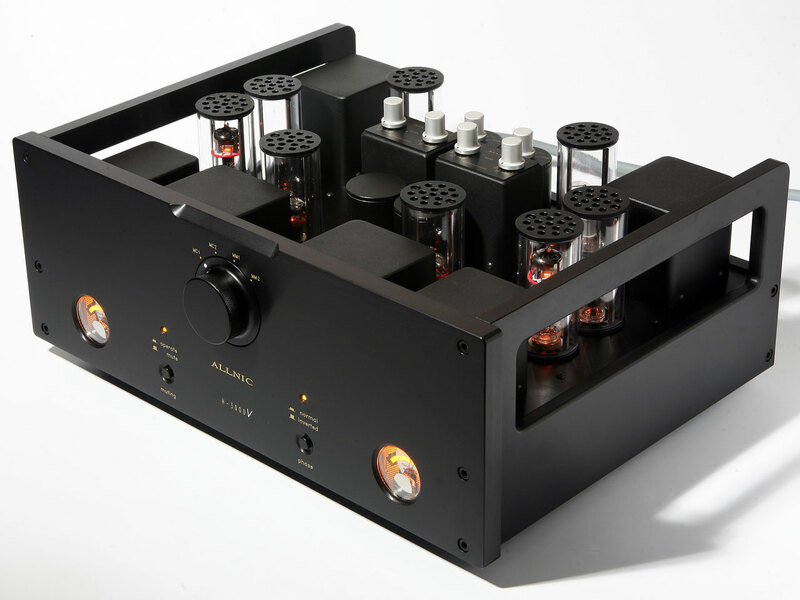 This reviewer says it goes “toe to toe” with his $70,000 Audionote M8 Preamplifier. All AM Audio amplifiers are absolutely world class are should be on your short list if looking for the finest sounding amplifiers money can buy. The exclusive New Zealand importer and distributor of the remarkable “Living Voice” range of floorstanding Speakers. “From my vantage point, it’s the most desirable speaker available today. Spatial Audio are based in Utah USA and design and manufacture a fantastic range of innovative Open Baffle Speakers. Clayton Shaw is the genius behind the company. His driving philosphy is to make the best speaker possible and to sell at the most reasonable price possible. These are a clean, modern, strikingly good looking design built to a high standard. The M3 Turbo S ($5750) utilizes four custom made 15 inch drivers and the M4 Turbo S ($4600) utilizes four 12 inch drivers. Both models use Clayton’s best M25 compression driver for treble and midrange which blend in seamlessly with the powerful drivers. Clayton is so confident in his speakers he offers a limited 20 year warranty. The brand new X1 UNIWAVE is a truely remarkable new type of speaker available from November 2016. I am very privileged to be presenting the USA-built CANARY AUDIOproducts to NZ consumers for the first time. Beautifully built, and absolutely beautiful sounding valve-based Monoblocks, Stereo Amplifiers, Pre-amplifiers, Phono-amplifiers and CD Players. The KONDO ONGAKU is the most famous and best-reviewed amplifier in history and has been declared the best amplifier in the world in England, the USA, France and Italy. This is the amplifier that inspired the worldwide single-ended movement. 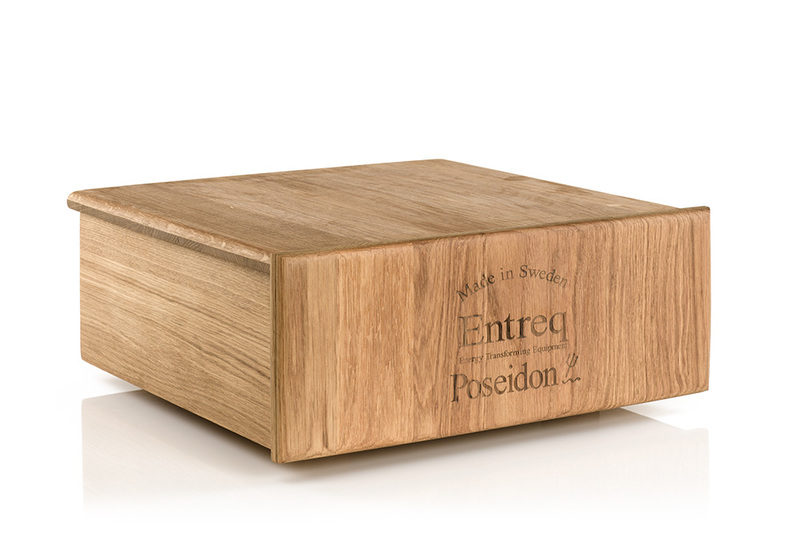 Entreq are based in Sweden and make a range of cables and audio acessories but their most important and remarkable products are their range of Ground Conditioners. These function by removing the “pollutants” in the delicate audio signal which are then grounded into the passive Entreq Ground Conditioner Boxes. The result is a darker, deeper audio background which does not change the essential nature of your system but boosts all it’s fine points. They have been manufactured and constantly improved for over 7 years and are priced from $549 for the Minimus Ground Conditioner up to the mighty Olympus Tellus Ground Conditioner priced at $13,995. These hugely dynamic, hugely musical Bastanis Speakers from Germany are made by myself here in New Zealand. All drivers and ancillaries are sent direct from Germany and I construct the speakers to Robert Bastani’s strict specifications. The 15 inch Matterhorn Speakers, and slightly smaller 12 inch Wildhorn, are currently in production with a high gloss piano black body and a high gloss Rimu veneer front panel, base, and tweeter pod. Very special speakers, and at 100dB sensitivity, can be powered by tiny valve amplifiers with great success. The exclusive New Zealand importer and distributor of the musically compelling range of J M Reynaud Speakers. This legendary French speaker manufacturer has been producing speakers for lovers of music for over 40 years. Sophisticated and musical with a real Gallic poise and finesse. These extraordinary new Interconnects and Speaker Cables using patented Magnetic Conduction technology have amazed audiophiles the world over. Experience the superior sound quality of the extremely well-designed Yarland valve amplifiers at ridiculously affordable prices. The models range from the very cute, extremely musical FV-34Cup to the extraordinarily good Pro-88 IISA. All the models are amazing value for money and the rare Realsization Award at Six Moons.com is an example of the respect and praise these have gathered. Soul to Sole Audio is now the exclusive importer and distributor of the world famous Benz Micro range of Swiss-made Moving Coil Phono Cartridges. Pictured is the legendary class-leading “Glider” model which was Absolute Sound Magazine’s Phono Cartridge of the Year 2009. Still at the head of the pack! The high end EXIMUS DP1 DAC/Preamp/Headphone Amp. The EXIMUS S1 500watt Class D Monoblocks . The extremely stylish audiophile one-box AURANOTE. Designer and manufacturer of the EQ Range of Hi Fi, Audiovisual, and TV Equipment Racks. EDGE Speaker Stands compliment the EDGE Hi Fi and AV Racks and are available in the same colour choices. Designed and Manufactured by Soul to Sole Audio. Vinyl is back and The Record Box is the ideal storage solution.